LIMA, Sept 13 (Reuters) - Baseball and softball's chances of continuing as Olympic sports increased considerably on Wednesday after the city of Los Angeles was awarded the 2028 Olympic Games. The two sports, which were thrown out of the Olympics after 2008, will make a one-off comeback at the 2020 Games in Tokyo -- in a country where they are hugely popular -- after organisers requested their inclusion under new International Olympic Committee (IOC) rules. But Los Angeles' success at the IOC session could see the Olympic life of the sports extended, possibly to Paris, which was awarded the 2024 Olympics on Wednesday, and certainly to Los Angeles. "This is a historic day for the Olympic movement, and a great day for baseball and softball," said World Baseball Softball Confederation (WBSC) President Riccardo Fraccari. "Today’s decision by the IOC adds immense potential for baseball and softball to remain on the programme beyond the Tokyo 2020 Games. "Baseball in the United States is the national pastime, while in Europe, baseball and softball’s numbers and competitiveness are steadily rising," he told Reuters. 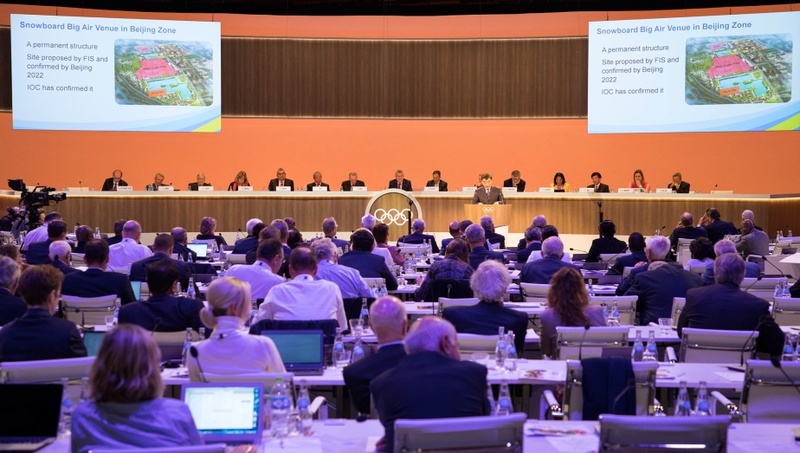 "The International Olympic Committee is focused on youth appeal, and with our sport’s growing global footprint ... I am confident that no matter where the Olympic Games would be held ... baseball/softball would be a great part of the Olympic sports programme." Tokyo will have five new sports -- also including karate, skateboarding, sports climbing and surfing -- as the IOC looks to boost the Games' appeal among a younger audience. Each host city can propose the inclusion of sports that are popular in their country for their own Games.